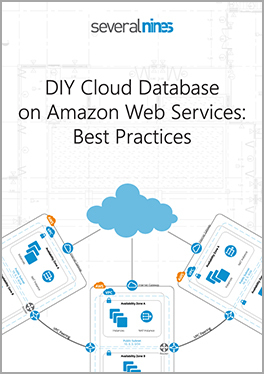 We’re happy to announce that our new whitepaper DIY Cloud Database on Amazon Web Services: Best Practices is now available to download for free! This whitepaper provides a step-by-step guide to help you build a deployment environment on AWS, to detail the configuration of this environment, and to demonstrate important considerations to drive the performance of your databases. You have many options for managing open source databases in the cloud but ClusterControl lets you deploy, manage, monitor and scale; providing you full control of your databases and without vendor lock-in. If you are managing your applications in the cloud or are considering a migration this whitepaper will help you get started and ensure your databases are optimized and operating at peak performance. Download the whitepaper today! ClusterControl offers a suite of database automation and management functions to give you full control of your database infrastructure. With it you can deploy, manage, monitor and scale your databases, securely and with ease through our point-and-click interface. Deploying ClusterControl alongside your applications in the cloud allows your business and applications to benefit from the cost-savings and flexibility that come with cloud computing. In addition you don’t have to worry about purchasing, maintaining and upgrading equipment. To learn more about ClusterControl click here.